Whether you're logging hours at the beach, or simply walking a few minutes each day on your morning commute, any time spent in the sun during the hottest months of the year can wreak havoc on your hair. Take it from Kyle White, lead colorist at New York City's Oscar Blandi salon, who says that colored strands are particularly susceptible. "Fading color is the number one complaint that I hear during this season," says White. "Exposure to the air causes oxygen molecules to attach themselves to the color molecules in your hair. It’s the same process that causes rust." Not into the rusty look? 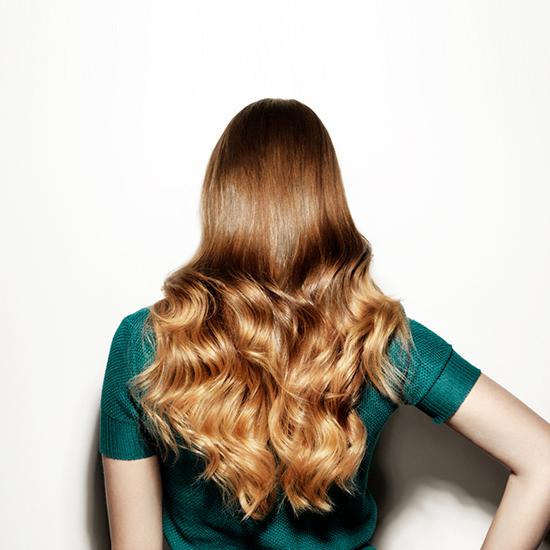 Try White's at-home tips for restoring that just-stepped-out-of-the-salon shimmer. "If you see your color getting white and ashy after being in the sun, then you'll want to do a chamomile rinse," says White. "Just steep some chamomile tea and let it cool completely, then run it through your hair. Leaving it on for five to fifteen minutes before rinsing will add warmth to your color." "If you're a brunette, too much sun will likely give your hair an orange tinge," explains White. "If you’re a dark brunette, rinse your hair with grape Kool-Aid—the blue hue removes orange tones. If you're a light brunette, try a coffee rinse. Brew black coffee, let it cool, and comb it through your hair. The longer you leave it, the more the brown color will deposit. 15 minutes is long enough for it to be effective." "The challenge here is a loss of vibrancy," notes White. "Red hair dulls down after sun exposure. Cranberry juice is a great at-home rinse—just comb it through, wait fifteen minutes, then wash it out. But if you want a really vibrant, rock-star red, opt for cherry Hi-C instead of cranberry juice."